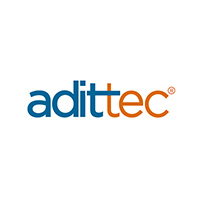 Adittec connects talented professionals from the fields of Data & Technology, Engineering, Life Science and Healthcare with the best employers, both on a local and global level. Our in-depth understanding of the needs of both candidates and clients gives us the ability to ensure the results of our work have long-term positive effects for everyone involved in the employment process. Our vision is to become the leading centre for connecting the best technical and professional candidates with the best employers around the globe. We build our success on making personal connections within the professional world and continuous innovation in our strategy. We take the time to get to know our candidates, as each individual represents so much more than just what is on their CV. We strive to find the right employment for every candidate, a position where they can then fully develop their potential. Our recruiters are focused exclusively on their particular area of expertise and that is what sets us apart from other recruitment agencies. They are experts in their field, effective it their work and proactive in advise both companies and candidates. We are constantly innovating ourselves and carrying out pioneering work in the HR field by striving to find the newest and best solutions for our candidates and clients. The employment process can be tough on both the candidate and the client. We want to improve the experience and offer support as well as honest communication throughout the entire process. Our aim is to establish trustworthy relationships with both our candidates and our clients. With our expertise and integrity we help make our candidates’ and clients’ goals a reality.